Avila’s Mediterranean inspired Swim Pavilion provides a sparkling Junior Olympic swimming pool, wade pool, shaded pavilion, snack bar and playground. Members also enjoy locker rooms and a toy room with games. 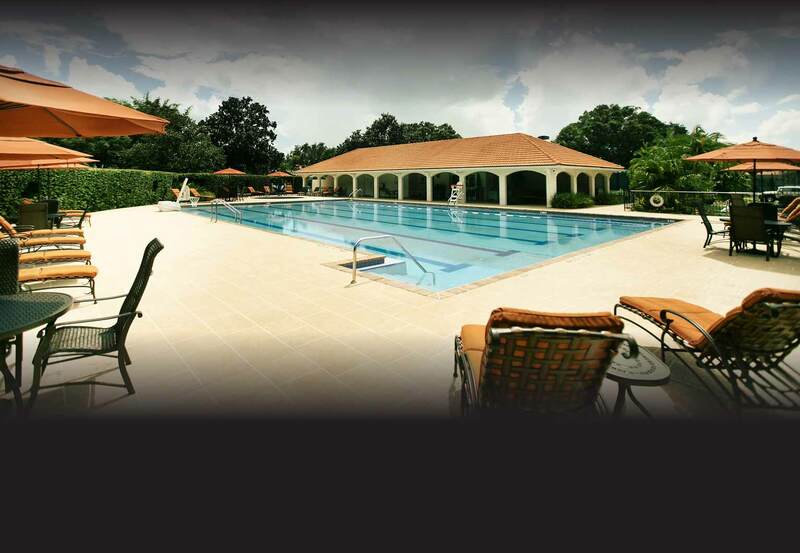 Services include swimming lessons, a full lunch menu, off-hours adult lap swimming, hosting of private parties as well as an abundance of social activities. The Avila Pool is staffed with lifeguards and food service personnel; towels, lounge chairs, umbrellas and tables are provided. Available for all ages. Please contact Scott Sepessy at 813.962.2472. The Avila Pool Pavilion has a wonderful atmosphere to celebrate birthdays, playgroups and company outings. If you would like to schedule an event, please call our Special Events Director at 813.264.8101.